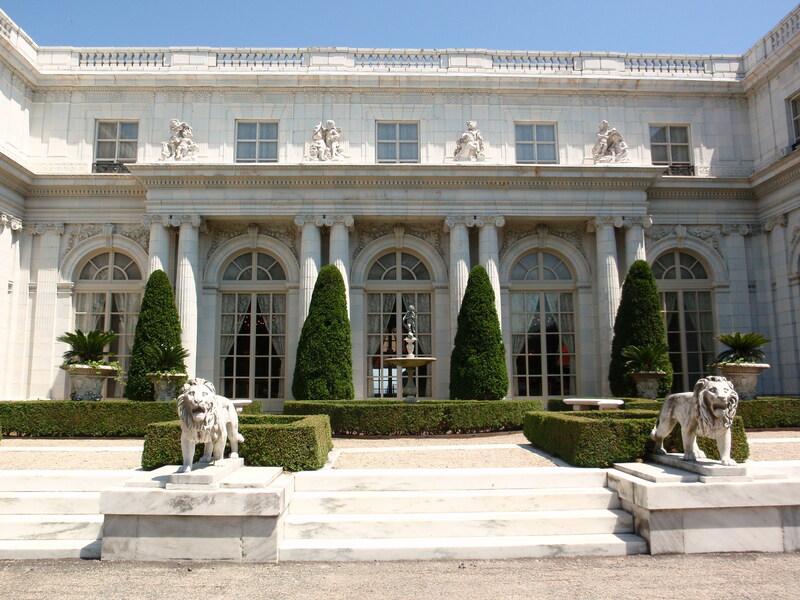 I just took a trip to Newport, RI, home of many grand mansions from the Gilded Age and my are they beautiful. We toured seven of them in three days. Their initial grandeur, although mesmerizing, loses its effect as you tour the houses and hear the stories of those who lived in them. Realizing what it took to run a house so ostentatious can be disheartening if you don’t belong to the same socio-economic circle. However, they can also be appreciated for their pure architectural beauty and genius. Most of them modeled after castles or chateaus in England and France, they helped spread the culture and intellect of Europe to the U.S. Who would have thought…a small town on the coast of Rhode Island acts as a miniature European city. For anyone who likes Downtown Abbey or is interested in the social structure during that time, touring these mansions is a real treat. The tours are very informative and interesting, detailing the home-owners’ daily lives, parties, marriages, relationships with their servants, clothing, budget, etc. 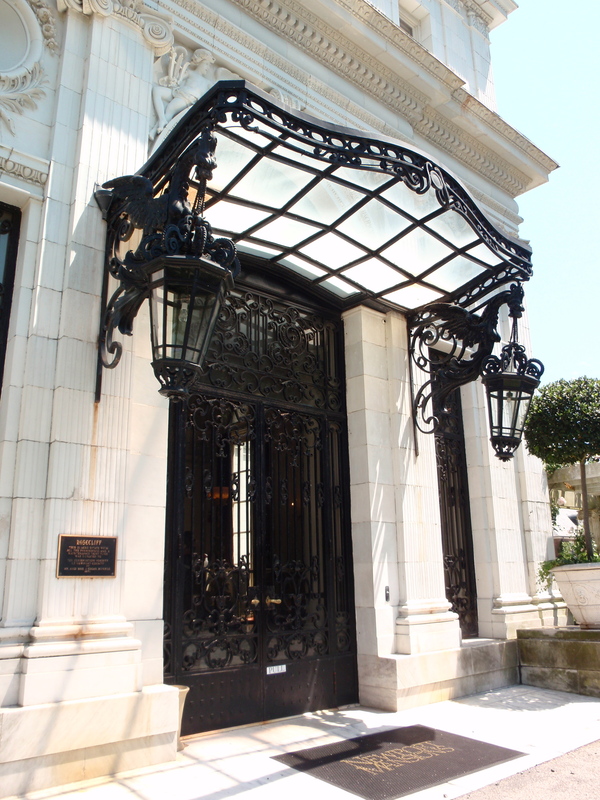 The kinds of families that lived in these mansions are the likes of the Vanderbilts. In fact, various family members built more than one house in Newport. The mansions are now preserved and shown to the public by the The Preservation Society of Newport County. It’s shocking to think that some of these mansions could have been torn down in the 60s, but thanks for The Preservation Society they are still standing and thriving. 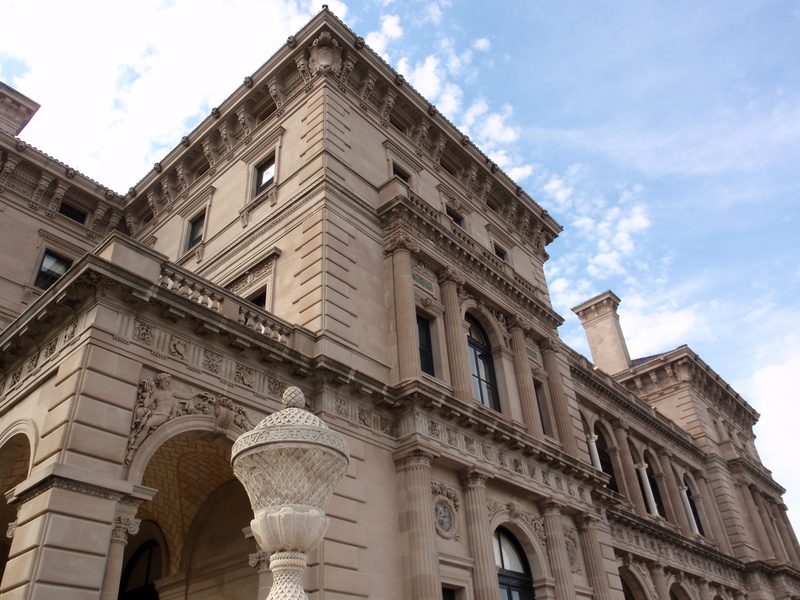 I would definitely recommend a visit to Newport, RI to see these stately mansions and learn more about the Gilded Age.